Difference between revisions of "Lavamancer"
Primary Attack: Devastating melee combos dealing physical damage. Lore: The Lavamancer carries with him the undying Flame of Embermount, a fiery energy source from which he draws the power to manipulate earth and magma. He creates volcanoes, oil geysers, and towers of stone to debilitate and burn his adversaries. 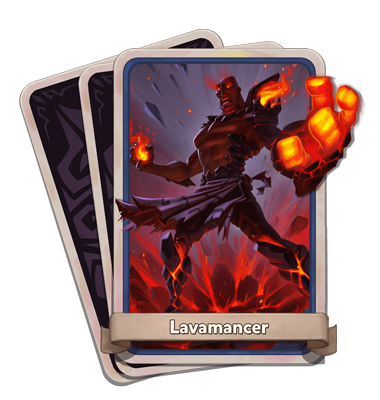 The Lavamancer is a powerful melee fighter who exemplifies ferocity and explosiveness blended with the power of a volcano! Molten Core: The Lavamancer conjures a molten core that deals damage to nearby enemies. Striking the core send it blazing forward, detonating on contact with any enemy or surface. Harden/Inflame: Shift between Hardened and Inflamed states. Hardened reflects projectiles and reduces damage taken for both the hero and his defenses. Inflame increases speed & damage. 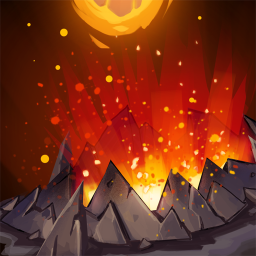 Eruption: The Lavamancer emits a shockwave of molten energy, damaging enemies, and buffing the Defense Power and Defense Attack Speed for all nearby defenses. Submerge/Emerge: The Lavamancer burrows underground, moving unhindered and healing over time. Press jump or the ability again to launch up through the surface and damage enemies. 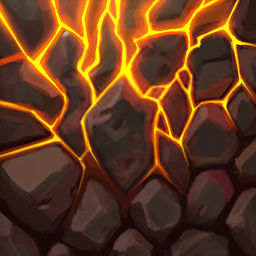 Fissure of Embermount: Place up to two Fissures of Embermount, each generating a mana pick-up every twenty seconds. 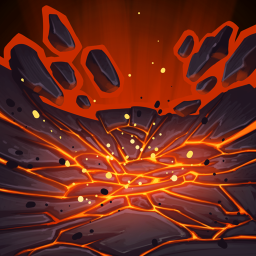 Each fissure also damages nearby enemies, increased when under the effects of Eruption. 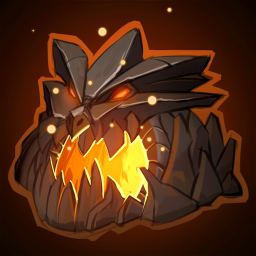 Maw of the Earth Drake: This tower fires a molten beam, slowing enemies over time until they turn to stone. Enemies in stone from taunt their former allies into attacking them. 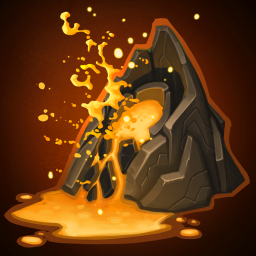 Oil Geyser: When triggered, explodes dealing physical damage in an area around it. 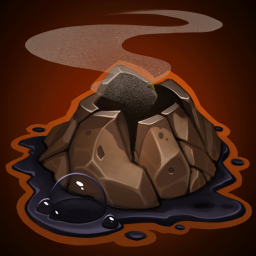 out dated information with damage numbers see link Volcano: The Lavamancer summons a volcano that rains meteors down on enemies. During Eruption, the volcano spews out meteors at an accelerated rate. 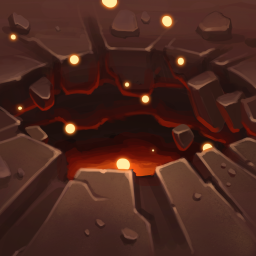 FIERY SUBMERSION The Lavamancer deals X Fire damage each second underground. 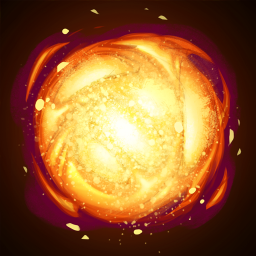 FIERY DAMAGE Lavamancer gains X Molten Power per second while Submerged. Fissure's Fire Enemies ignited by the Lavamancer's Fissure of Embermount will remain on fire for X Seconds after leaving the Area. This page was last modified on 7 December 2017, at 17:23.